Use the PDF documents below to find answers and instructions. General information on using the Hustle mobile app. Hustle refers to this step as "starting a new workflow". Your first contact with a person - where you're inviting them to perform some action. This refers to the "reply" stage, where you're responding to a person's reply to one of your texts. 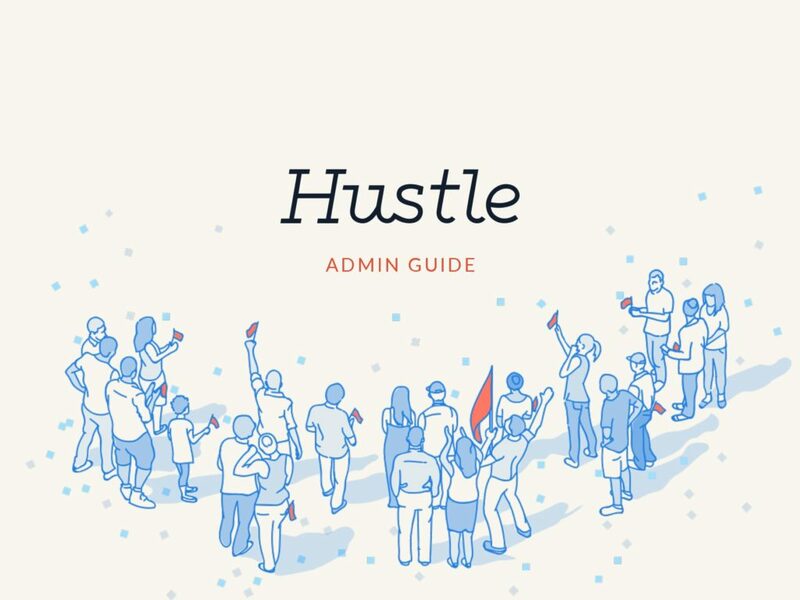 Information on using the Hustle admin panel.